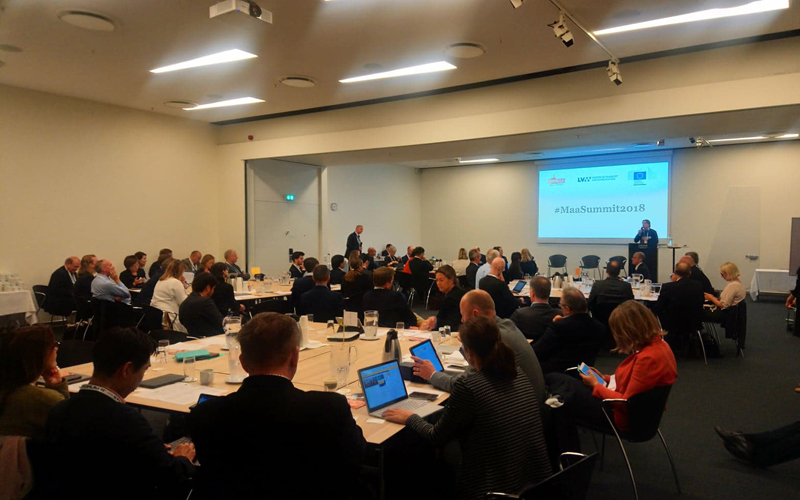 The Finnish Ministry of Transport and Communications and the MaaS Alliance, together with the European Commission, hosted the fourth annual high-level event on Mobility as a Service (MaaS) in Copenhagen on 17 September, in conjunction with the 25th ITS World Congress. 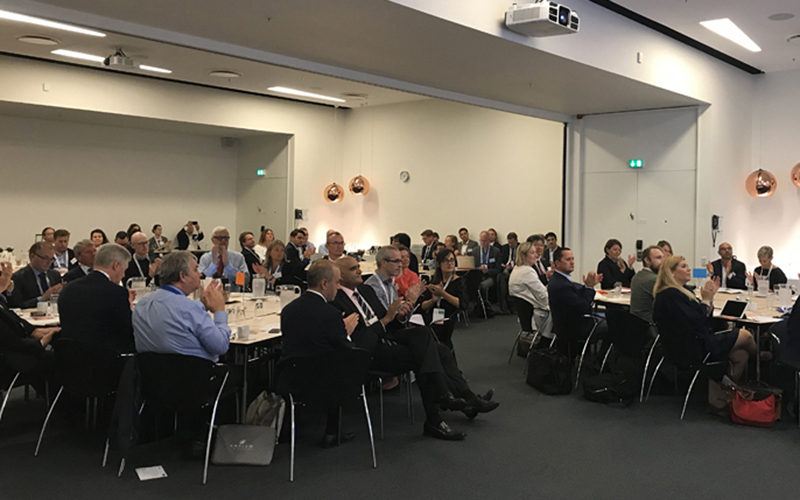 The Summit was opened by Finnish Minister of Transport and Communications Mrs Anne Berner, followed by the European Commissioner for Mobility and Transport Mrs Violeta Bulc, and the Secretary-General of the International Transport Forum (ITF) Mr Young Tae Kim. The European Commission has declared this year the Year of Multimodality. In this framework, the focus of this year’s MaaS Summit was on questions around multimodality in MaaS. 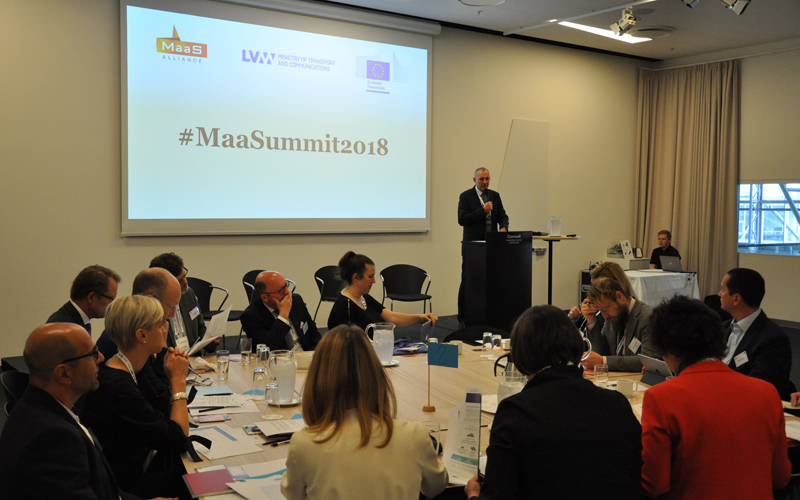 The aim of the Summit was to bring fresh ideas and inputs to discussions about MaaS and to identify the next steps needed to introduce real multimodality in the MaaS context. More than 70 high-level transport experts from around the world, representing the business community, research institutes and the public sector, participated in roundtable discussions, focusing on topics such as data sharing, the regulatory framework necessary for MaaS, as well as multimodal approaches to infrastructure and services. In conclusion, it is clear that we are currently in a messy transition phase and it will take several years until a generation of ‘MaaS Natives’ exists. Innovations should not be blocked by restrictive standards, but common understanding (i.e. a syntax) of MaaS needs to be created to ensure a compatibility between public and private approaches. Regarding multimodal data, attendees agreed that the keyword was “two-way”, i.e. two-way sharing, instead of “access to data”. In a win-win model, public transport operators should also receive basic data to optimize their offer from the MaaS provider. This could be taken even further and the data could be used to understand why a given mode of transport has been used for a given journey at a given time. For example, in Helsinki, the evolution of travel patterns, from taxi to bicycle, was noticed by the MaaS operator. Another example of interesting data would be tourism-related data. Among cities, the City of Antwerp was cited as a best practice, but developments worldwide in Australia, USA, Switzerland and elsewhere in Europe are also promising. Cities and public transport authorities should be involved in this development process and the MaaS Alliance activities. All benefits and risks should be clearly explained and costs should be covered in a fair way. Building an interface has indeed a cost, including the work needed to ensure quality of data and operational costs. Moreover, some public transport service providers may not be able to use the public money for these purposes if it is not part of the mandate they received from the public authority. Legislation, such as the GDPR, has also an influence on what can be shared/how it should be shared. Moreover, EU competition law also has a role to play in establishing a level-playing field. An ex-ante market analysis might be useful to avoid (new) monopolies. Regarding fare/tariff data, national rigid fare systems were recognized as one potential barrier to MaaS development. Regarding standardisation, a learning-by-doing use-cases-based approach is preferred to a formal CEN/ISO process. What is needed is a reference implementation with validation and certification. 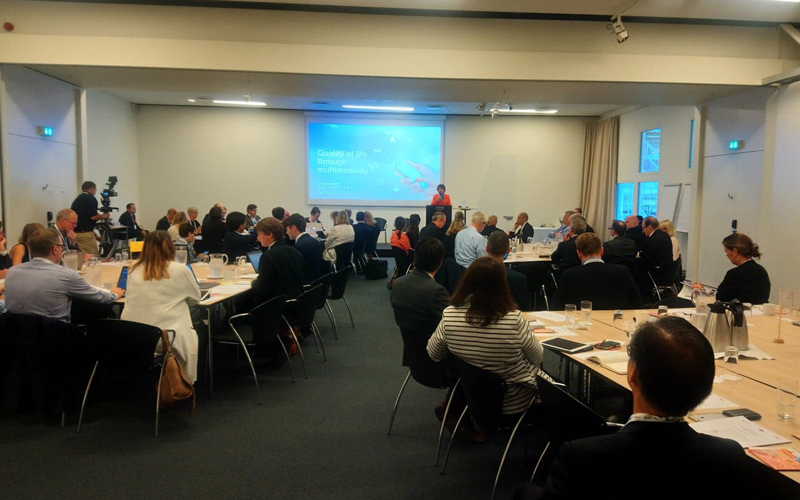 Regulation was seen as the last resort when fostering Mobility as a Service and, in case legal intervention is needed, it should be flexible and cross-sectoral. On the other hand, using incentives by governments were considered to be an effective way to support innovative mobility solutions. Moreover, it is widely agreed that all levels, especially local and Member State levels, need to be involved and that co-operation is the key to success. In order to help the national and local levels, it was proposed that the European Commission should play a bigger role to facilitate sharing of best practices and core principles, involving more cities and public transport, as well as learning from hindering factors with focus on targeted discussions. 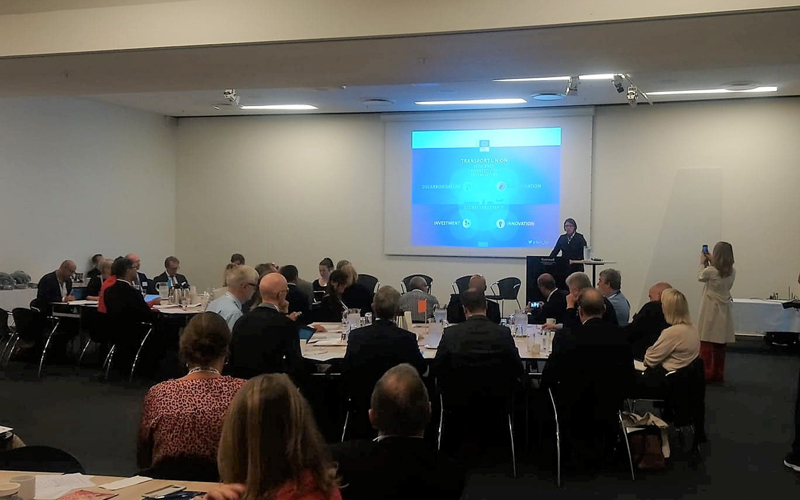 As conditions across the EU vary a lot, calls were also made for the European Commission to develop a toolbox that would help authorities find solutions when there are still uncertainties. The vision of Mobility as a Service should be crystallised, seeing the transport systems as a whole, especially keeping in mind the future needs, such as automation. Stronger international collaboration was called for; for example, the ITF conference next year could be the right platform for that, both at ministerial level as well as working level, to build bridges between different towers. As experienced by participants, cities across the world are now disrupted by technological changes, resulting in new mobility services. However, these changes should not be seen as a reason to question existing visions and planning goals, such as, sustainability, liveability or a modal hierarchy. Cities need to develop their own internal capacities to understand through a structured planning approach (e.g. SUMP2.0) how, and in which form MaaS can contribute to the overall vision of a city and balance needs of the individual, society and commercial operators. Dynamic procurement was considered as an important measure for cities to operate MaaS services that ensure benefits to all citizens. This means that transport services should not be procured for too many years in order to provide public MaaS services that can develop with technological changes and customer needs. Cities need to put structures in place that reduce potential negative externalities of MaaS, such as congestion and pollution, and encourage data sharing. Access to public infrastructure, such as the curb side, is essential for MaaS to function. The current trend shows a need to focus less on parking and more on drop-off and pick-up infrastructure. Ideas such as ‘curbside interaction fees’, could be an alternative to parking fees, which might have less of a regulatory function in the future. However, changes to existing (parking) policies are often considered controversial on a local political level. Several countries, such as Finland and Estonia, have put in high level policy structures to support MaaS, but transport is a global industry that doesn’t stop at national borders. The European Commission is seen as the main player to set the basis on a European level. These can include better funding mechanisms that support local MaaS activities that can have positive impacts on international transport corridors. Also, risk sharing models between public authorities and commercial operators for data infrastructure need to be considered. National and supranational authorities are also considered essential in order to link the transport sector to other sectors, such as health and energy. 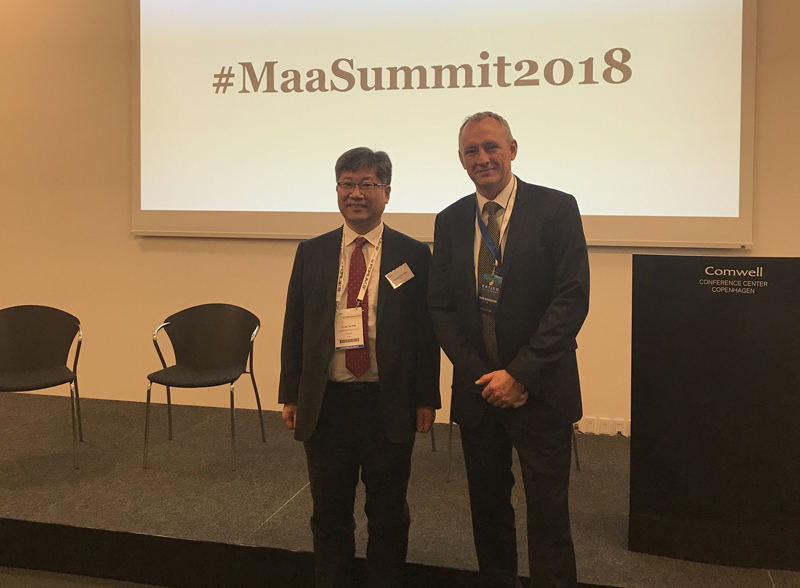 One focus topic at the MaaS Summit was how to catalyse multimodal services, meaning the seamless co-operation of different modes, different part-processes (planning, booking, payment and information) and efficient mixed use of public, private and shared fleets. 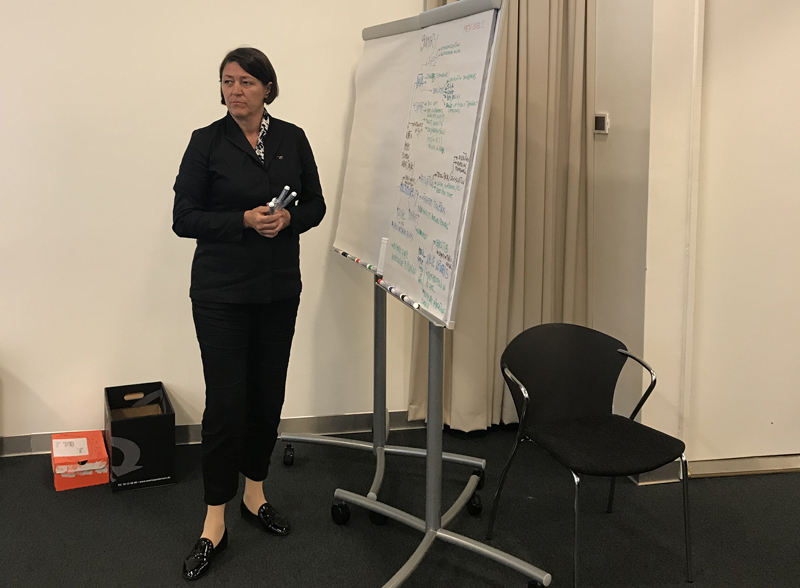 Two main questions were what are the main enabling functions needed to enhance the multimodal services and on the other hand, what market structures and mechanisms might hinder the development of integrated services. The slowly emerging interest of public transport service providers in MaaS has been one of the blocking issues in its development. Therefore, it is first important to get a clear understanding of the expectations of the different players, namely mobility service providers which are a fundamental part of the ecosystem. The biggest fears seem to be related to fairness and neutrality of the new ecosystem. Surprisingly, fairness in this context is not necessarily a question of profit but more about the algorithms. From the transport service provider’s point of view the main question is whether or not they can trust that on a MaaS platform their services are displayed in a fair manner to the end users. Also commercial interests are, of course, involved and then the industry should together seek and develop innovative branding, study different models for reciprocal data sharing and work together to develop standardised model contracts to lower the transactions cost related to local implementations. It’s all about incentives, attendees said, emphasizing that all transport modes should be treated on an equal basis. A new mobility budget initiative launched this year in Belgium was mentioned as a good practice to balance the modal split. When discussing disruptive technologies, artificial intelligence was seen as a useful tool to create more efficient and targeted incentives. All incentives and subsidies should be designed based on the actor neutral approach and also their impacts should be carefully studied both ex ante and ex post to monitor that they really deliver the intended impact on the users’ behaviours. One often heard question regarding MaaS is how should it be done or who should control it. The answer should be “the one who could do it”, so the actor who is able to encourage all the relevant stakeholders to act together.